Susana is professor in Environmental Economics at the Department of Geography and Environment at the London School of Economics and Political Science (LSE). 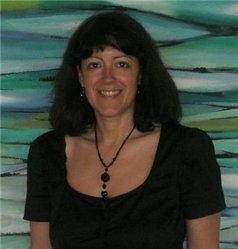 She is an environmental economist and an expert in the application of economic valuation techniques to the measurement of environmental change. Current projects include a large international investigation of the impacts of climate change on cultural heritage. Susana joined LSE in 2008, after ten years at Imperial College London. She is also Visiting Reader at Imperial College London, Honorary Senior Fellow at CSERGE (University of East Anglia) and a member of several expert panels on environmental valuation for UK government and industry. Susana has worked on more than 45 research projects and consultancies for research councils, government, industry, charities and international organisations. Life satisfaction and the environment. Do biodiversity conservation videos cause pro-environmental spillover effects?